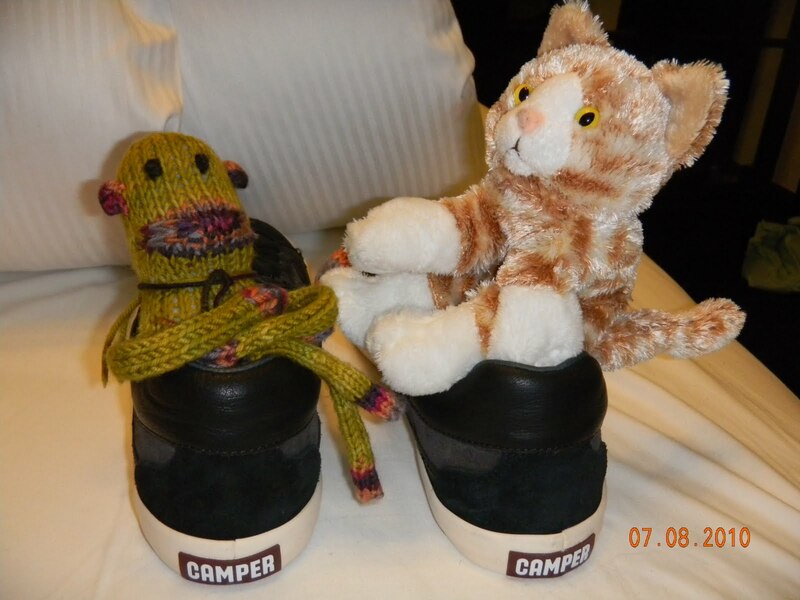 This is where Monkey met up with Cat, oddly enough in a pair of Camper shoes that I bought for Carson. They became fast friends in this world of yarn. 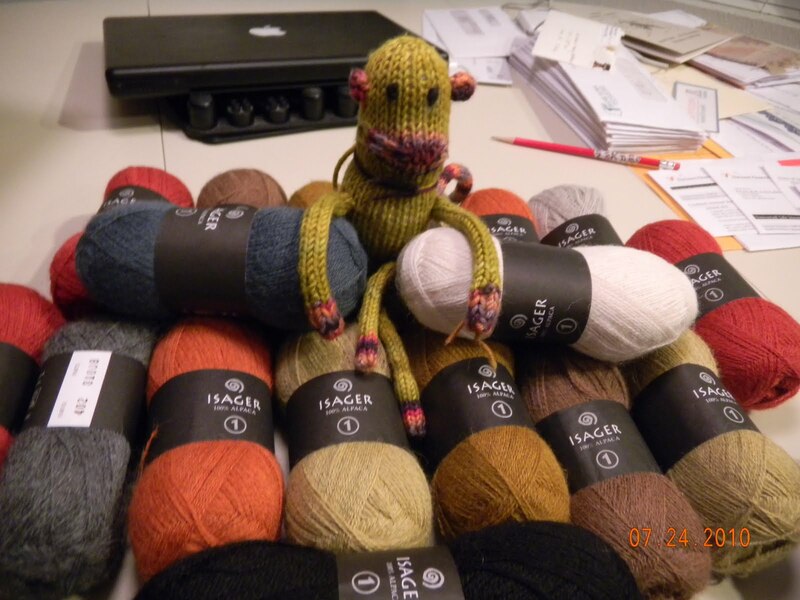 Monkey shows off enough Isager laceweight for two shawls. 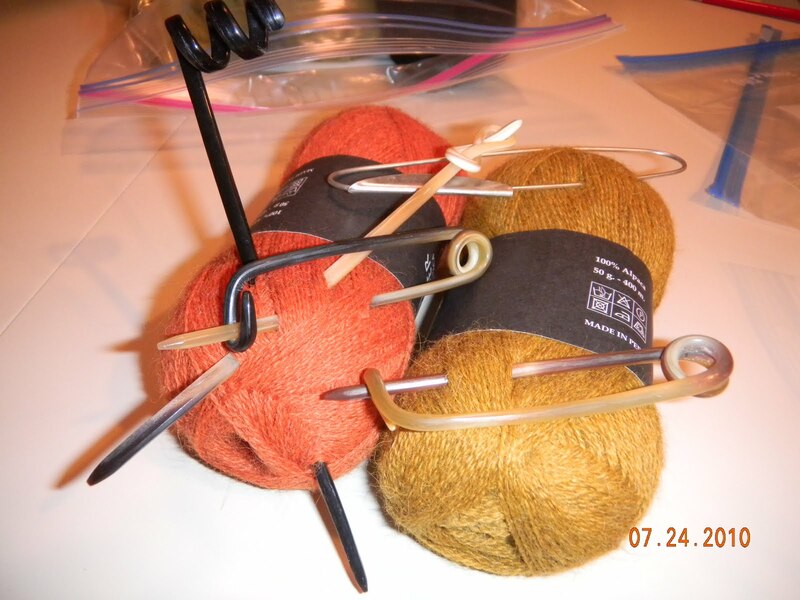 They will be a fun knit, especially if I can remember which yarn I picked out for which pattern. They had some cools shawl pins here. Those that look like safety pins are made from horn, as well as one of the long ones. Not sure what the black is, it feels like horn. The one in the back reminds me of one of those little connecters that you use when you attach lures to your fishing pole. It caught me for sure, I brought it home with me. Ahhhh, Copenhagen knitting swag. Here is the world of Summerfuglen, which I believe is Danish for butterfly. Don’t exactly know what butterflies have to do with knitting, but it doesn’t matter when yo step into this shop. A little bit of everthing and best of all, they ship to the States. So you have to get a box full to make it worthwhile, right? This is where we all gathered for the first time to meet each other. What a great place to come together. I visited it, bought yarn, ate lunch, went back and bought some more yarn since there was room in my box:) I know you understand. 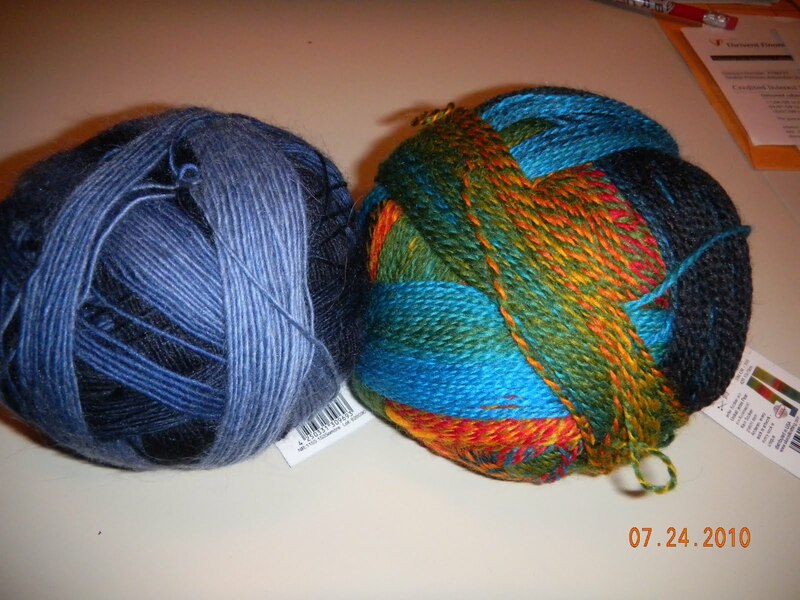 These are Zauberball-the one on the left is Zauberball Crazy, it is a 2 ply. The left is regular single ply. If you haven’t knitted with it yet, you have to try it. Makes awesome shawls with the long color repeats. Not a native yarn for Copenhagen,you can find it in the states, but you never find much of it because it flies off the shelves. You take it whenever and where ever you find it. 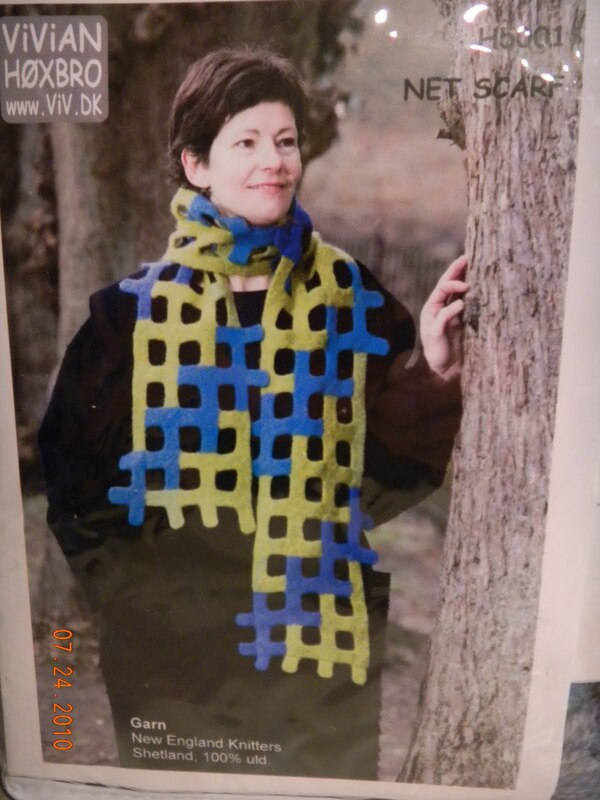 These next two photos are kits that I bought–both Scandinavian designers, the scarf/shawl is actually felted. 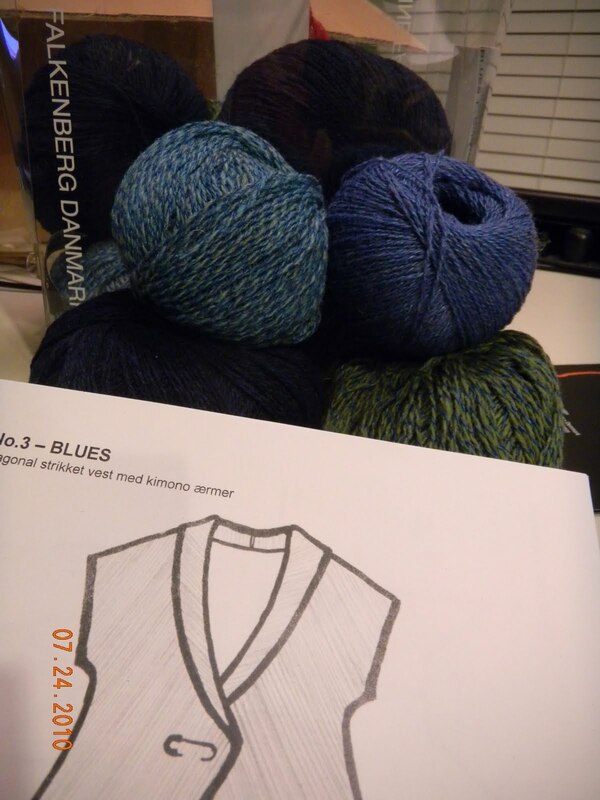 The Hanne Falkenberg kit is a vest in denim colors, a wool-cotton blend. She is known for unusual construction and her garments have great drape and a nice hand. Upcoming: Berlin, Tallin, Helsinki, St. Petersberg, Stockholm. Stay tuned!